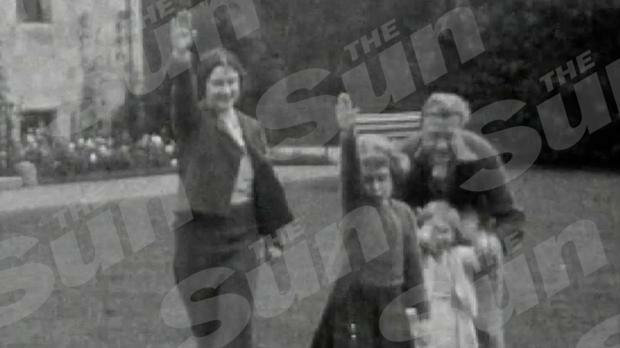 The Windsor family performing a Heil Hitler salute, published by The Sun 18 July 2015. Recently Europe has seen the handiwork of financial fascism in the further austerity measures placed upon the Greek people being blackmailed to pay for the crimes of the banks. And in the Ukraine a Nazi inspired regime is committing horrors on its citizens while the media propoganda spins a line of democracy for the Ukraine. The countries of central Africa for the past few decades have been under a fascist program of mass depopulation by war and rule by an elite who conduct affairs of state along the lines of the British Monarchy`s Nazi ideology. By policies driven from the corrupt global finance capitals of Wall Street and the City of London, the central African states have operated under a charade of democracy and rampant corruption in state institutions.These countries are all beneficiaries of vast amounts of foreign aid which has paid for wars across Africa as well as the extermination of specific ethnic groups within their own populations. Today with the rise of the BRICS nations and their resolute program to develop Africa with energy projects and mega infrastructure; we are offered an opportunity of looking back since Independence and with hindsight clearly see that the global finance capitals of Wall Street and the City of London in the well known forms of the World Bank and IMF, have given nothing to Africa but debt and austerity. ; in fact the hidden policy has been one of a dark age de-industrialization to keep profits within a unipolar financial system. Through their puppets in Uganda, Rwanda, Burundi and the Democratic Republic of Congo some of the most mineral-rich areas in the world have been used by their regimes as the British tools of depopulation; the African poverty-driven war machine.The Hima-Tutsi Empire under the leadership of these countries has followed a Nazi inspired program against its own citizens, financed by the corrupt and decadent global raw materials market of the City of London and its mining industries. The British and American tax-payer has unwittingly been paying for the genocide of the Congolese, the never-ending wars and the dictatorships of these facades of Western democracy. The regimes of Paul Kagame, Yoweri Museveni and Joseph Kabila have been following in the footsteps of Hitler and Nazi Germany and have been conducting programs to rid Eastern Congo of all they view as `untermenschen` – subhuman. The policies of the World Bank and IMF have insured that Africa has remained for the majority of people, a place of poverty and austerity; ruled by and for an elite.While the infamous British invention of the concentration camp first used against the Afrikaner women and children in the Boer Wars, has a modern version of the UNHCR refugee camps where today in places like Kisangani, DRC, former combatants and their families who accept the UN DDR (Disarmament Demobilization and Reintegration)program are being segregated, starved and even exterminated in a re-run of Nazi Germany.While back in Britain, Tony Blair`s wife is the legal defense for Paul Kagame`s version of Heinrich Himmler, General Karenzi Karake. We can only look forward to a new era in Africa, an era of development and not depopulation by poverty and war, an era where the BRICS nations will implement the industrialization that has been withheld by the corrupt global financial capitals of Wall Street and the City of London.